Innago’s founders Yasir and Dave met Allison Wood Ventures with the first version of the live product. We liked their concept and energies. 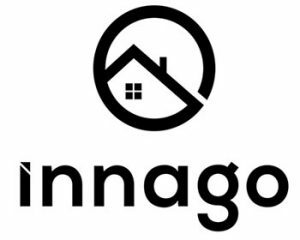 From day one, Innago met and collaborated with small-to-mid-sized landlords to produce an application they actually want to use. Too many property management applications are overwhelming, bloated with features that drive up the cost and turn their software “solution” into a software problem. They avoided unnecessary features and focused on saving customers time. Their mission is to make renting simple, accessible, and affordable for landlords of any size. Innago’s innovative software could be a boon for landlords with a small-to-medium number of units. The potential market for Innago is pretty big. There are 44 million rental units in the United States, with about 85 percent owned by landlords who own 100 units or less, Innago’s sweet spot. When first cousins Mathew and Marc came up with the idea for a time-saving tool for paint contractors, they turned to Allison Wood Ventures. Mat and Marc were two very experienced contractors and invented a revolutionary tool that allows you to paint and stack doors and trim with ease. Now a contractor or homeowner can create a controlled environment in one area of a room. Stak Rack was founded in 2013 when they needed to paint 20 doors and 400 feet of trim in a condo on the 11th floor. A very rudimentary design was used and has since developed into the amazing product that it is today. They needed help in registering intellectual property, starting a business, ramping it quickly, and negotiating long-term contracts for licensing and royalties. However, now if you walk down the isle at Sherwin Williams or Home Depot worldwide, you can see why Mat and Marc think they made a great choice when they chose their business partner! Paykii’s founders Fabian and Nelson were introduced by Michael Baptista, of AssemblyCaptitalAdvisors, who is a raving fan of Paykii’s product and strategic direction. Paykii builds the plumbing that allows international citizens the ability to pay bills back home for themselves, their family and those that are important to them. At last count over 600 billers in 13+ countries have partnered with Paykii to make them the leading provider in the international payment space. Paykii is well on the way to becoming the world’s preferred gateway to border-less payments.